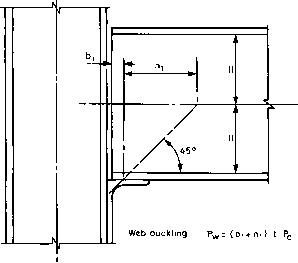 (d) when the column sections to be joined are of different sizes, then web cleats and a division plate should be used to give a load dispersal of 45°. It should be noted that these splices may have to be designed to resist moments and/or tension because of robustness considerations. 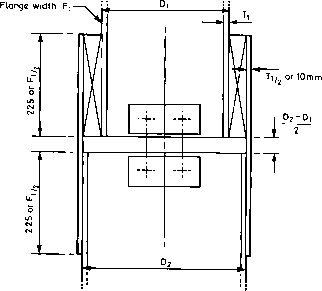 In these cases, the permissible shear value of the bolts may have to be reduced, and the tensile capacities of the division and flange plates should be checked.